He was brought to FC Barcelona by then technical secretary Josep Samitier, who felt he has discovered somebody exceptional. And he was not wrong, for the Brazilian managed to score just shy of 0.8 goals a game. A natural athlete, he was the typically silky skilled Brazilian with a deadly instinct in front of goal and a terrific shot with either foot, a powerful head and the kind of speed and courage that made him an ever-present in the Barça first team for five years, teaming up to perfection with Eulogio Martínez. His most historic moment was the goal he scored with the sole of his foot on November 23, 1960, to knock Real Madrid out of the European Cup for the very first time. 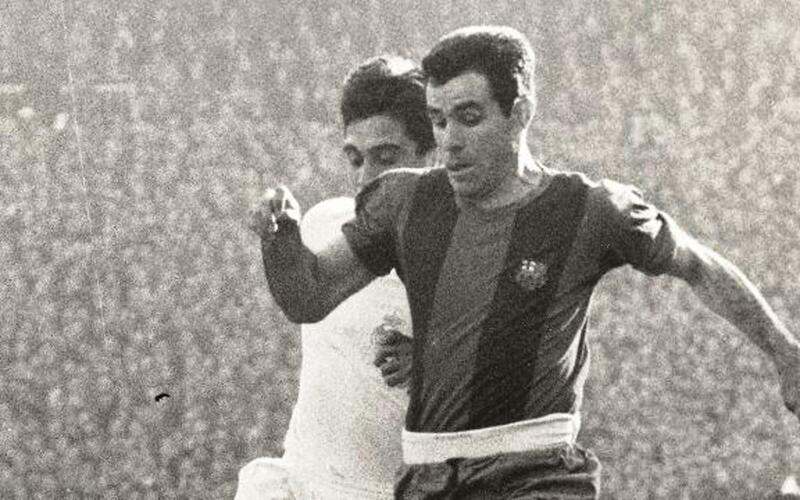 Paradoxically, in 1962 he left FC Barcelona after refusing to be nationalised as a Spaniard and joined Real Madrid.